It wasn’t the first warm rays of sun streaming through my bedroom windows, nor was it the fact that the bus would certainly not be passing by my driveway that morning. The sound that woke me up each and every holiday was the electric whirling of my mother’s handheld blender. One clank against the metal bowl and my eyes flew open. Within seconds, a small set of footsie pajamas were racing down the stairs desperately trying to save that little bowl of batter from its tragic fate…the sink faucet. For me, it wouldn’t be a holiday unless I started it off with a whopping spoonful of pre-baked goodies. Baked goods that bring back many fond memories and the fact that this recipe was a family recipe from a generation or two ago, makes me feel even more connected to those I love each time I create them. 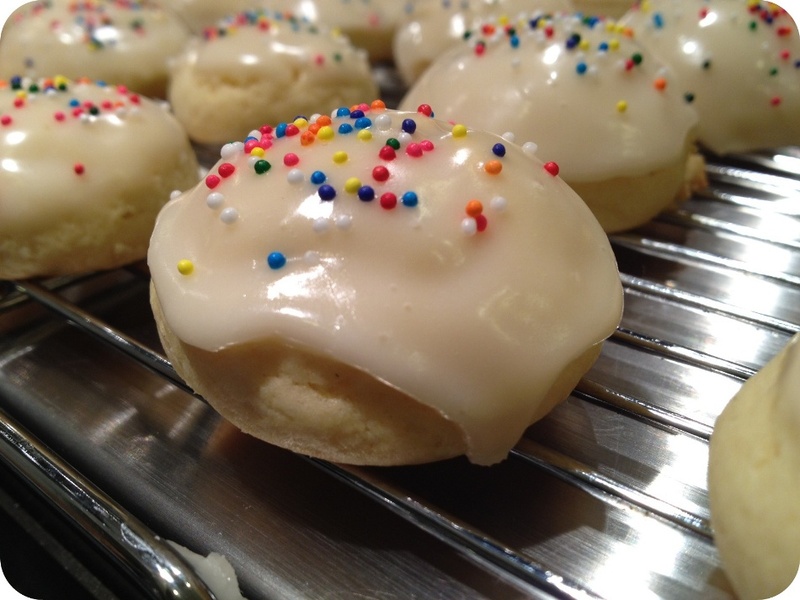 These traditional Italian yummies are a one bowl, easy to bake, cake-like little cookie with a sweet glaze and a small sprinkle of nonpareils on top. Although the anise is the original flavoring used, I substitute with almond extract. It’s nothing more than a taste preference. I’ve found anise is akin to cilantro…people either love it, or not. You choose..almond, vanilla, anise. Beat first 5 ingredients in a large bowl with mixer until well blended. On low speed, add next 3 ingredients. Bake 8-10 minutes until bottoms are light and golden brown. 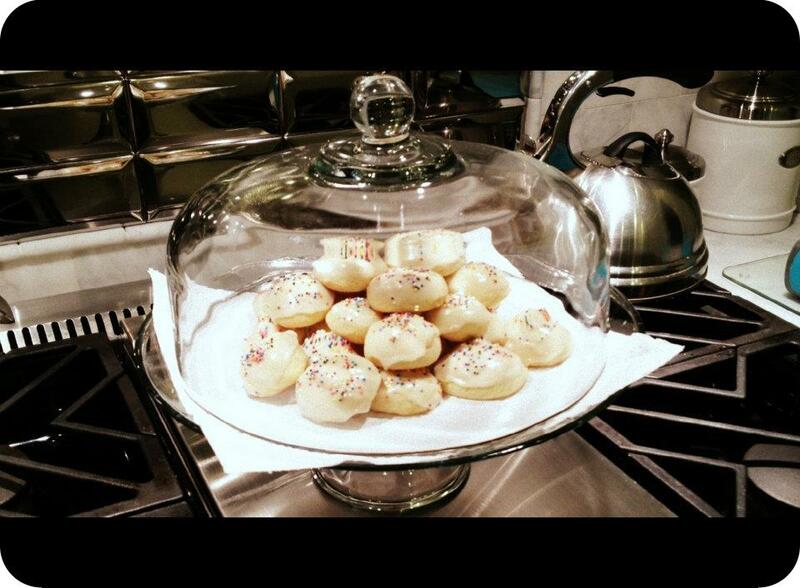 Dip tops of cookies in glaze and sprinkle with mini nonpareils.